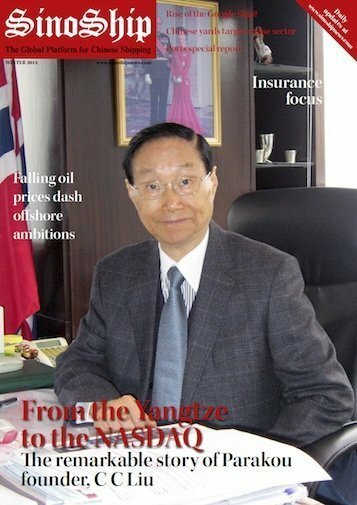 Just 10 days after announcing plans to list its tanker division on the NASDAQ, C C Liu, the chairman of Parakou features on the cover of the latest issue of SinoShip magazine. Liu discusses plans to expand the MR product tanker fleet, why handysizes are his new top pick for bulkers and how to navigate difficult markets. Other profiles include up and coming owners from Fujian and Chongqing as well as the president of Dalian Maritime University. There’s features on insurance and ports while among the regular pages SinoShip analyses China’s refinery overload, plans to enter cruise shipbuilding and how the falling oil price might put a lid on local yards’ offshore ambitions.